Opportunity knocks at this location. 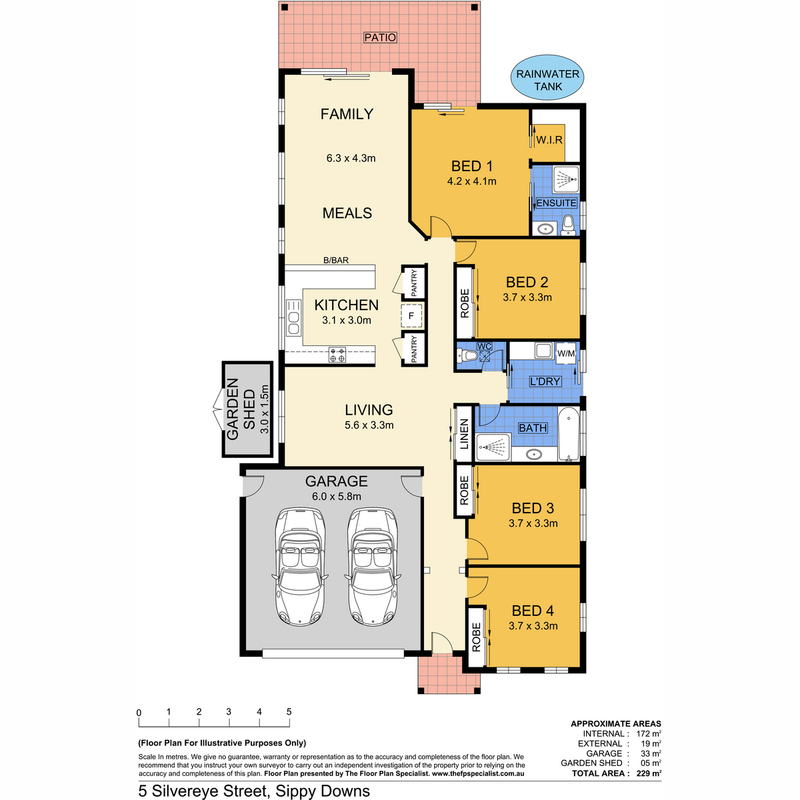 Find your new family home or compact investment property. 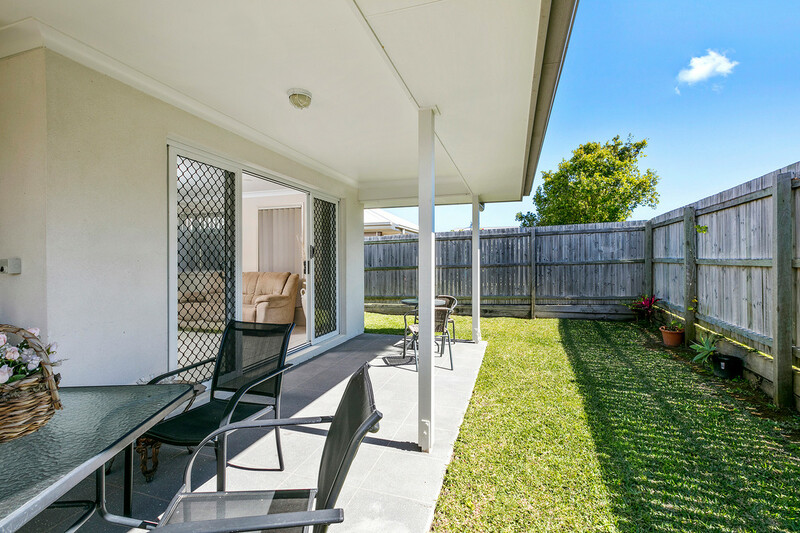 Be captivated by this property’s proximity to all education facilities, shopping, food outlets, quick Bruce Highway access and 12 minute drive from the beach. 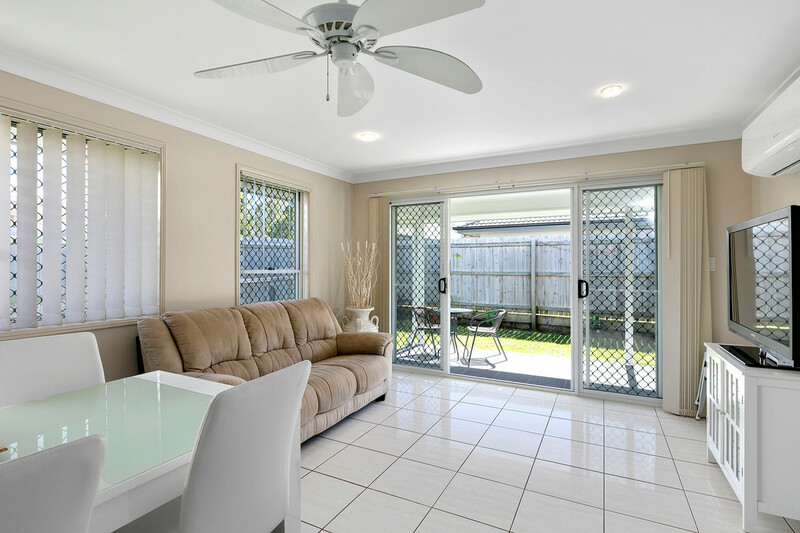 This immaculately built 2009 family home gives you a feeling of spaciousness the minute you walk through the door. 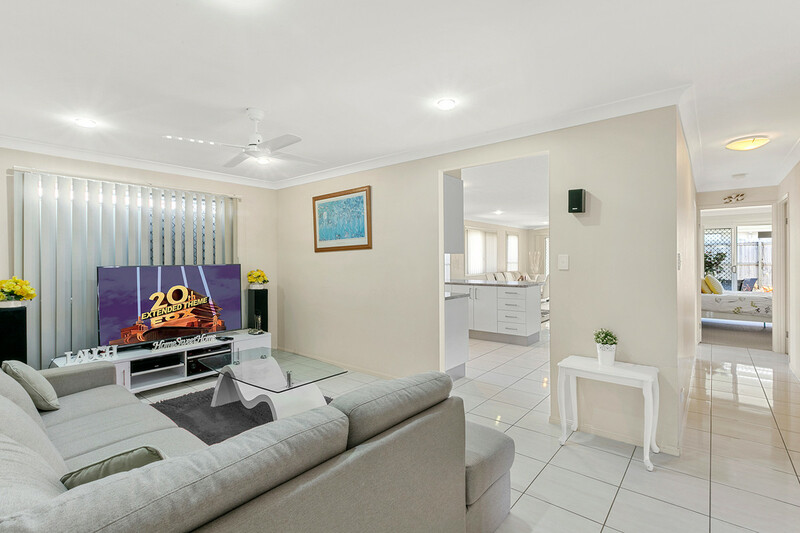 There is something special that will intrigue you about this large four bedroom and two bathroom low maintenance home with separate living areas. The property’s appeal is complete with a fully secured lockable level yard plus rainwater tank and a garden shed for that extra storage including DLUG. 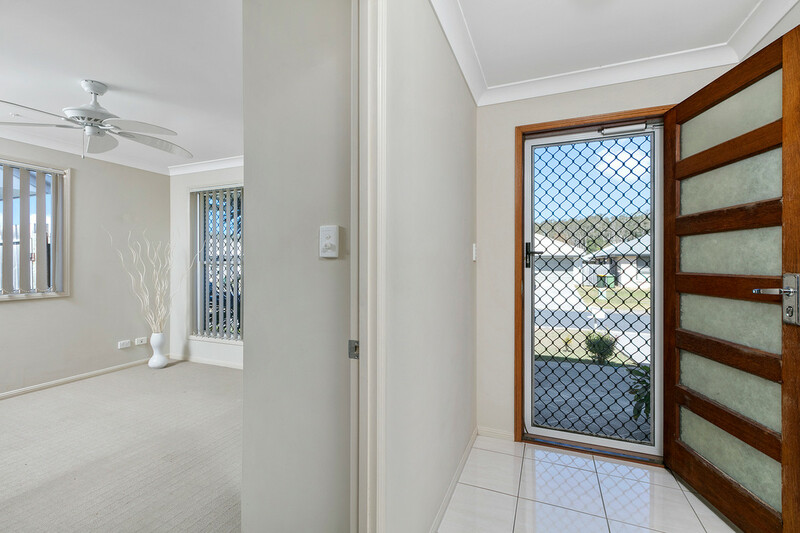 The stylish entrance sets the tone for a big open plan, breezy and beautifully laid out home. This beauty is one to move straight into and start making memories. The presentation is immaculate. 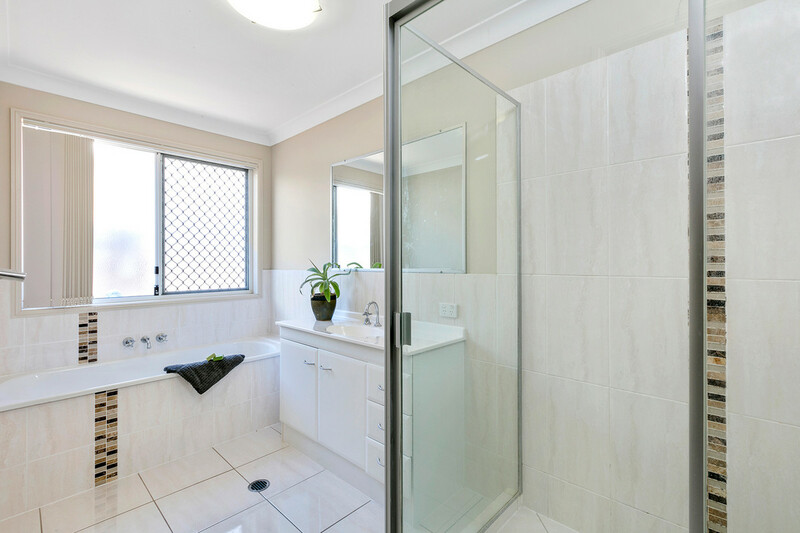 Features include air-conditioning plus ceiling fans to keep you comfortable year-round, easy care tiled floors in all living areas, carpet in the bedrooms, well-designed bathrooms with a separate toilet, insulation batts in roof and full security screening. 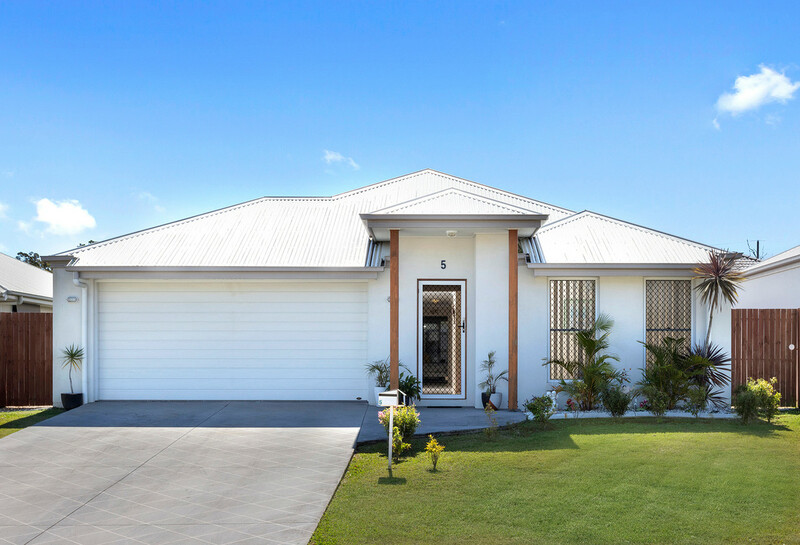 This beautifully appointed modern residence is complete with a large modern family bathroom, a separate toilet, laundry, a large spacious kitchen with large preparation area and ample cupboard space, an electric cooktop and stainless-steel dishwasher. 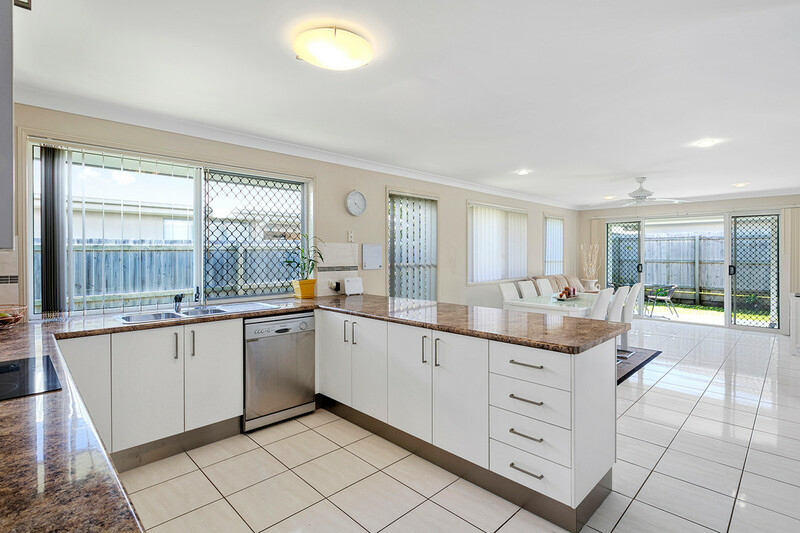 The kitchen flows seamlessly through to dining and living areas and on to a north-facing covered tiled patio – all on a level low maintenance 450m² block. 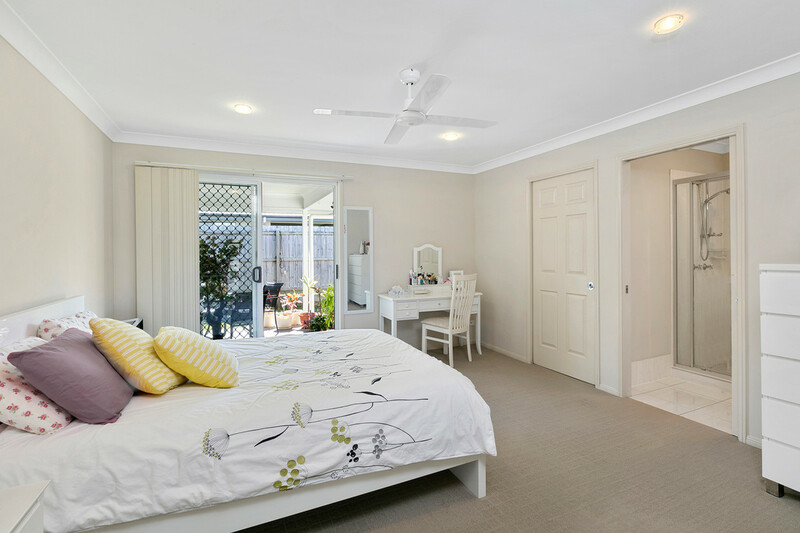 The bedrooms are all generously proportioned to accommodate family and guests all with fans and robes. The master suite includes a great sized walk-in robe, en-suite and sliding door access to the patio. Alfresco entertaining will be an absolute delight as the open patio flows seamlessly from the indoor living areas. To unwind, the covered patio offers a private retreat to enjoy a book and a cuppa. Located within easy reach of shops, local public and private schools, public transport, nature walks and coastal links, this property is exactly what you’ve been waiting for! 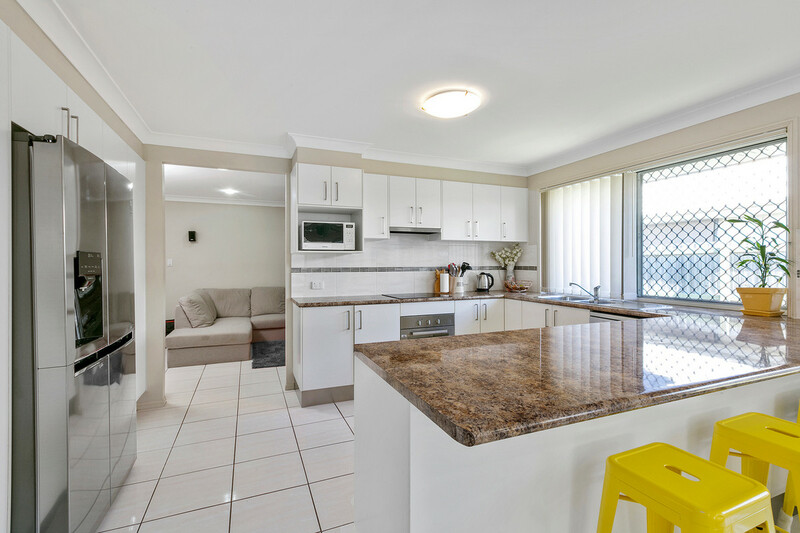 Buyers seeking a first-class designed family home and keen investors looking for size, stylishness and a location that will give you the subtle WOW factor must inspect before it’s snapped up! Don’t delay as this is an opportunity not to be missed.